Constructed of polyethylene film laminated to cloth with a rubber adhesive, this economical tape resists curling and tears off the roll cleanly for easy application in MRO/construction. 3M™ Extra Heavy Duty Duct Tape 6969 has a unique construction that allows for permanent and temporary indoor applications. It is removable with little or no adhesive residue up to three months after application. 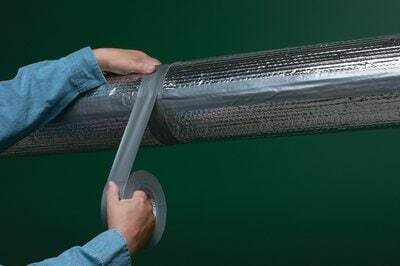 Originally developed for heating, ventilating and air conditioning (HVAC) applications, duct tape is used today in a variety of maintenance, repair and construction settings. Our 3M™ Extra Heavy Duty Duct Tape 6969 was tested in accordance with UL723, NFPA 255, UBC 8-1 and ASTM E84. Due to its ability to remove cleanly, it is an excellent economical choice for MRO/construction as it adheres reliably to most substrates. Available colors include silver, black and olive. 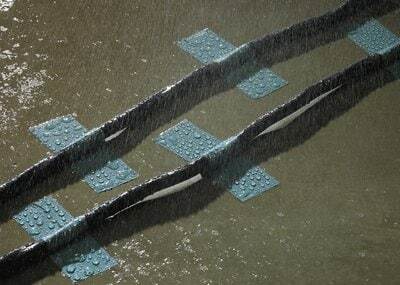 The tape can be used at temperatures as high as 200°F for up to 30 minutes. We offer 3M™ Extra Heavy Duty Duct Tape 6969 in a variety of colors to enhance utility and improve appearance. Our sturdy cloth-reinforced tape can be torn from the roll and sticks instantly, providing a wide range of convenient solutions. 3M's family of rugged cloth and duct tapes adheres to most surfaces for applications ranging from bundling to moisture proofing, sealing to splicing, reinforcing to hanging poly drapes. Available in a variety of colors and strengths, they're known best for their hand tearability, high tensile strength and conformability. 3M™ Extra Heavy Duty Duct Tape 6969 is rated 2.3 out of 5 by 3. Rated 1 out of 5 by MacGyver from May as well use 3M post-it notes My second attempt using 3M duct tape and second fail with results. They must use the same adhesive on the duct tape as thier post-it notes. Real duct tape would stick to your fingers, the floor, itself, etc., but this stuff is so far from the mark. I have used stickier masking tape. That was the last roll of duct tape I buy from 3M. Look elsewhere like gorilla tape. So far GT is my gold standard.